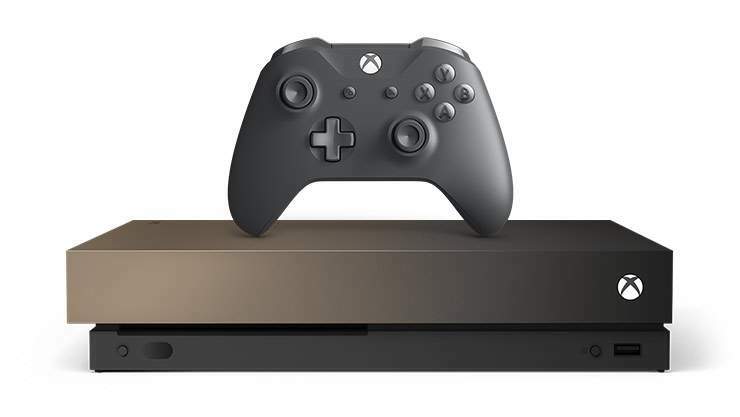 Looks like a fantastic limited edition console! Expecting this to sell out quickly! Looks like half a normal 1 x got covered in dust. Prefer it in black. I could get this for £360, do you think I could sell it for a profit? That's how much I bought the Scorpio Edition for when it launched last year, I'm guessing you're signing up for a credit account with them for the first time? That's how much I bought the Scorpio Edition for when it launched last …That's how much I bought the Scorpio Edition for when it launched last year, I'm guessing you're signing up for a credit account with them for the first time? No, they've sent me a 20% off code to use on anything bar apple products, and I'm just wanting to know what to buy so I can sell it easily, and make a small but healthy profit. Hard to say how good a deal this is. 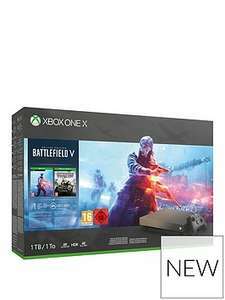 You're getting about £70-80 worth of games for the same RRP as the console on its own. 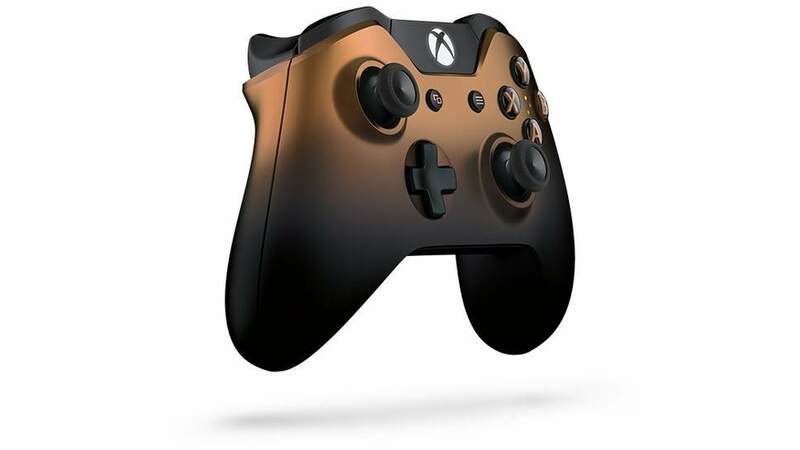 But in terms of it being a limited edition, the console itself is a bit underwhelming. Also if you're not interested in BFV they're digital copies of the two games so might be more difficult to flip them. No, they've sent me a 20% off code to use on anything bar apple products, …No, they've sent me a 20% off code to use on anything bar apple products, and I'm just wanting to know what to buy so I can sell it easily, and make a small but healthy profit.Runs out 3rd September. Any suggestions? This? Well it looks pretty sweet and it has an unreleased game included which is the deluxe version. I'd say definitely, but who knows. My initial option is a mobile phone, but can't see anything in that category. 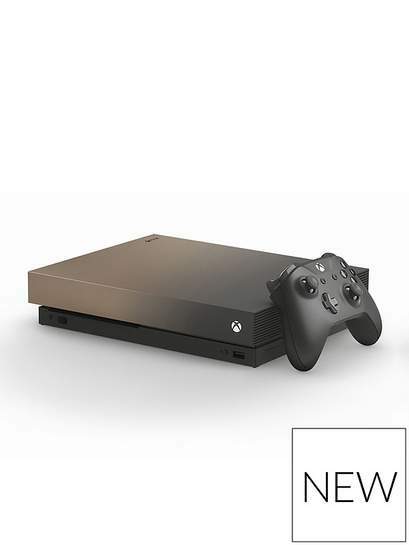 It's very lazy like some of the pro custom console Sony has released in the past...I would have preferred they had gone all out on a FH4 console. My initial option is a mobile phone, but can't see anything in that …My initial option is a mobile phone, but can't see anything in that category. Wouldn’t surprise me if this becomes an appreciating asset like to limited edition versions of the original xbox, but could go either way. It's very lazy like some of the pro custom console Sony has released in …It's very lazy like some of the pro custom console Sony has released in the past...I would have preferred they had gone all out on a FH4 console. 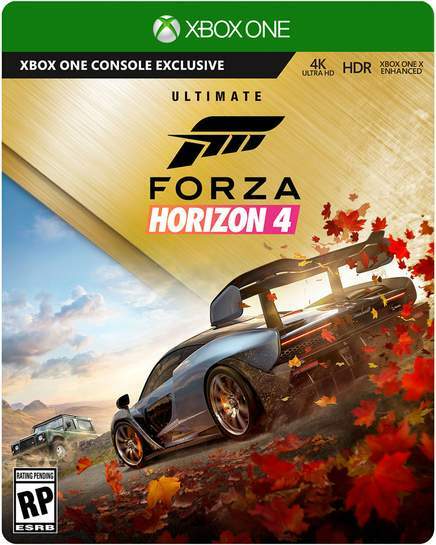 I'd been hoping for a Horizon edition X console that was either white (the new game's menus have this 'whitespace' feature they're touting a lot or, probably more controversially, would be the vivid pink/orange gradient that features in the logo (behind the `Horizon 4` below). Very underwhelming bundles overall. Cold because it's "Very" and a "Pre-Order". They tend to not let the public buy stuff like that. E.g. the Lamborghini? special edition one. They tend to not let the public buy stuff like that. E.g. the Lamborghini? …They tend to not let the public buy stuff like that. E.g. the Lamborghini? special edition one. That one was a vaguely matching blue to the 'hero' Ford GT on the cover of the game. I'd have loved a McLaren-esque Papaya Orange one, but the hero Senna is grey, or thereabouts. Looks more of a dirty nappy beige than gold. Not sure what the point you're trying to make here is. They've released …Not sure what the point you're trying to make here is. 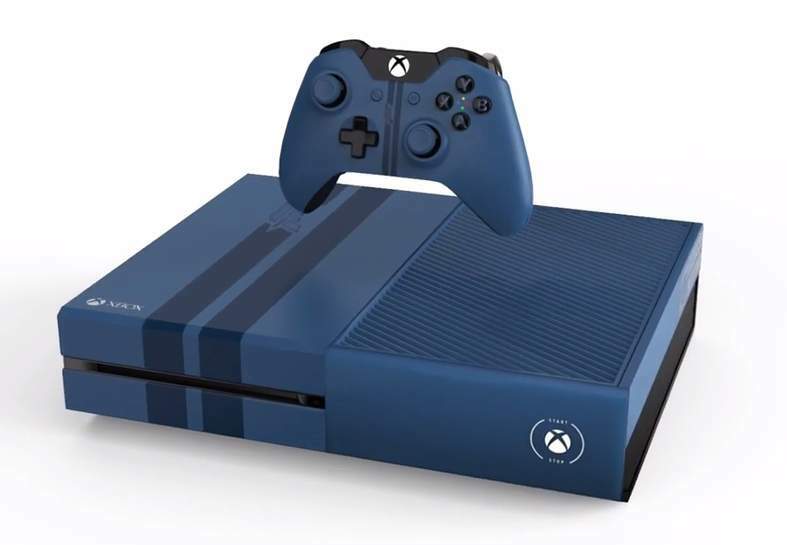 They've released less bland limited edition consoles in the past, this Forza Motorsport 6 one for example:[Image] That one was a vaguely matching blue to the 'hero' Ford GT on the cover of the game. I'd have loved a McLaren-esque Papaya Orange one, but the hero Senna is grey, or thereabouts. Didn't read your comment carefully enough apologies for any offence I caused. Didn't read your comment carefully enough apologies for any offence I …Didn't read your comment carefully enough apologies for any offence I caused. If they had done one the same colour as the McLaren Senna on the box art that would have been perfect. May not be such a bad idea that one you know Bobby, I could sell the charger as well, probs get £50 for that, then £250 for the watch, hopefully. May not be such a bad idea that one you know Bobby, I could sell the …May not be such a bad idea that one you know Bobby, I could sell the charger as well, probs get £50 for that, then £250 for the watch, hopefully. A bit of gold overspray really!